I mentioned in my WNW haul post that these trios have already been discontinued. However, thanks to eBay, I was able to get them. 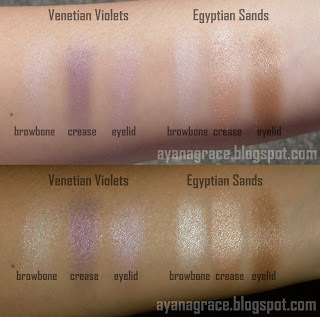 I got mine in Egyptian Sands and Venetian Violets. The packaging is ok. I mean, it looks a li'l flimsy but the shadows don't fall off the case so I don't mind the packaging very much. Besides, these palettes are really inexpensive so I didn't expect high-end packaging in the first place. 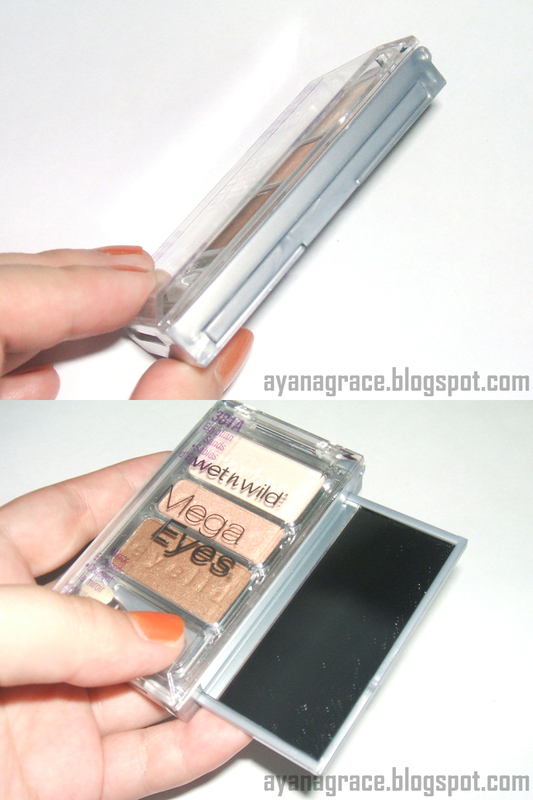 Each palette comes with a pop-out mirror and a tiny sponge tip applicator which I don't use. These are my first Wet N Wild e/s and I am loving them so far! eyelid color - pale purple/lilac. These shadows have a satin finish which I like. I enjoyed swatching them because they are really soft to touch and can be blended easily. The shadows in ES are all well-pigmented; those in VV are less pigmented. 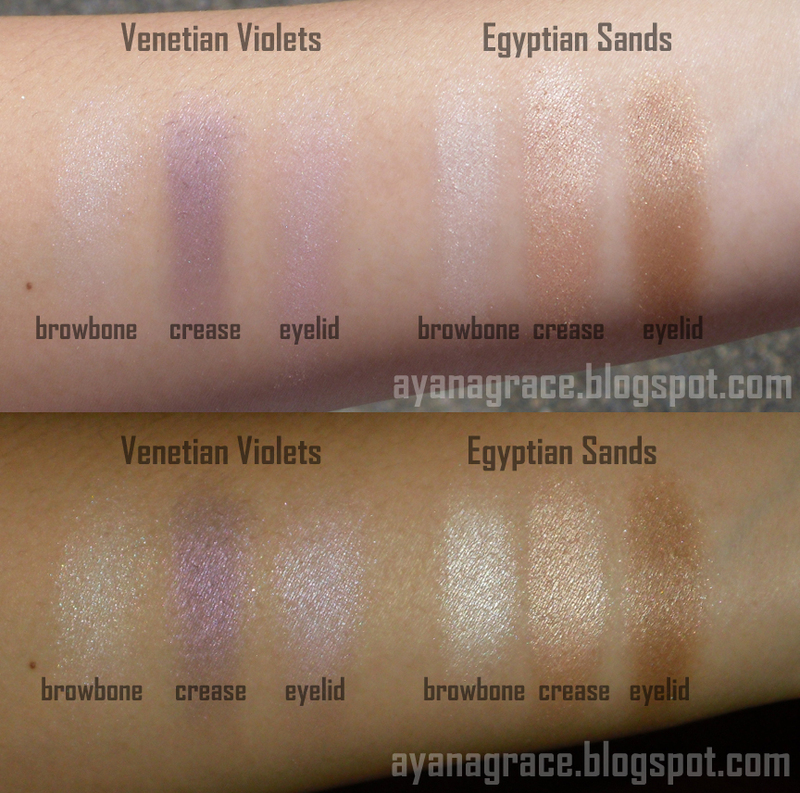 I also noticed that the VV highlight color is a bit sheer compared to the others. 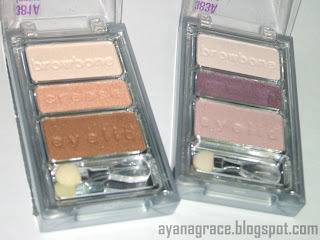 All in all, I like these palettes - the texture and the pigmentation (especially with Egyptian Sands) and the price! I got these online for 99.75 Php each. As I've said, Mega Eyes Trios have already been discontinued but there are lots of resellers out there. And there are six color themes to choose from. This is so cool. 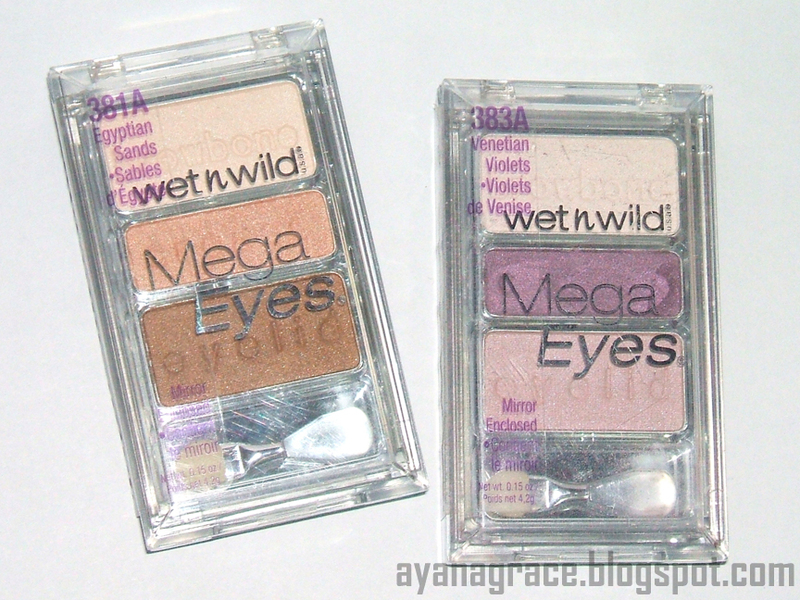 I'm now getting into Wet n Wild cosmetics too! @Elaine, I don't have the color icon trios yet. But I want! I've read lots of good things about them. @Michelle, yey :D WNW's stepping up their products na lately (IMO). i love the violets. and oh! that palette is so unique. meron pang instruction. meron kaya ng ganito sa dept stores like SM? I like the finish. I gravitate towards shimmers and sheens.